Forget about LG's content-creation claims. The V20 is the phone for nerds who just want to play. OK, I kid the V20. But the phone is packed with a ridiculous amount of features, the bulk of which are focused on content creation. 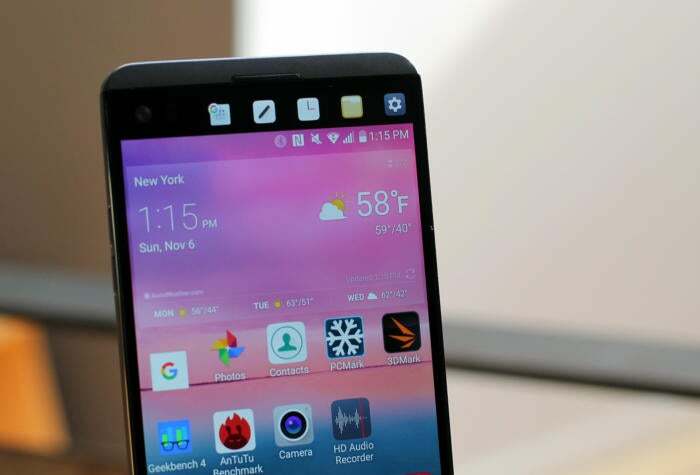 LG promises pixel-perfect photos, action videos free of camera shake, and music recordings with pristine sound. It sounds awesome on paper, but I’ve been testing the V20 for several weeks, and found the phone falls short in some key content-creation areas. But make no mistake, the V20 is still a great all-around phone for Android fans who need a large handset, and want a kitchen sink full of features. I wouldn’t choose the V20 over the Pixel XL, but it’s still a compelling phablet, and does a lot of things the Pixel can’t. The V20 isn’t elegant, but it’s packed with enough nerdy features to keep an Android power user busy for days. The V20 also helps fill the large hole left by the disgraced Note7. At $800 for a 64GB unlocked version, it costs more than the 32GB Pixel XL, but you get the extra 32GB of storage and a removable battery. So, seriously, if LG can’t finally rattle consumers into caring about its phones, it should just give up and focus on TVs and refrigerators. If you’re primarily interested in photo, video, and audio recording performance, jump to the section titled “Content creation: Features galore.” (Spoiler: The V20 takes reasonably good photos, and its audio recording is best-of-class, but video image stabilization is actually pretty bad). For now, I’m going to jump right into the everyday V20 experience. The V20 is slightly longer than the Pixel XL, but I find it easier to hold. Perhaps LG’s aluminum rear panel has just a bit more to “tooth” to it. Regardless, the V20 cradles nicely in my hand, while the Pixel XL always feels too slippery. I’m bummed that LG ditched the grippy, textured polycarbonate backing of the V10, but the new design looks more up-market, and the plastic chins at the top and bottom of LG’s packaging don’t detract from a generally premium appearance. 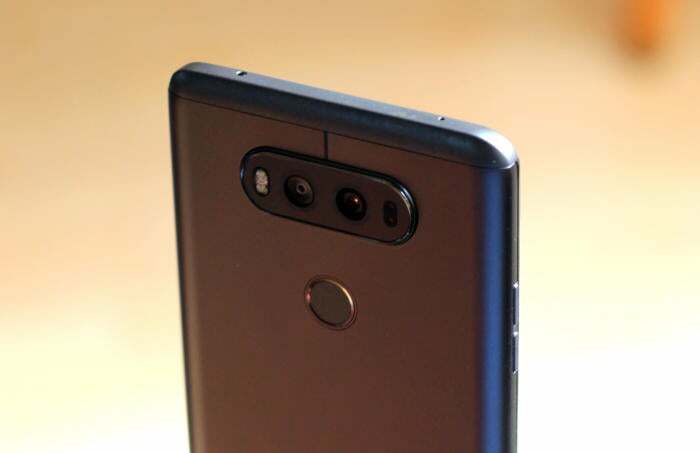 You’ll find thinner bezels compared to the Pixel, but if you think camera bumps are ugly, you’ll hate the big, oval projection that surrounds the V20’s considerable camera apparatus (two rear cameras, dual flash, and a laser autofocus sensor). 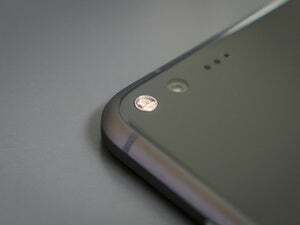 The bump makes the V20 look more like a piece of “equipment” than a fetish-worthy object d’art like the Pixel XL or iPhone 7 Plus. LG has a combination power button/fingerprint sensor on the rear panel. 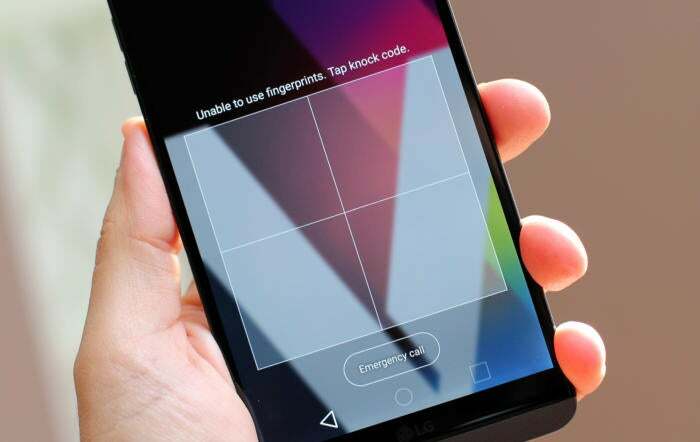 This rear placement makes it impossible to use the button as unlocking trigger when the phone is lying flat on a table, but that’s OK because the V20 implements LG’s excellent “knock knock” feature: From a completely dark screen, you tap a personalized, six-part pattern onto the display, and the phone unlocks. It’s an awesome quality-of-life feature that other manufacturers should steal. Like so many previous LG phones, the V20 has an SD card slot behind a removable battery (3200 mAh). The battery-swapping scheme is better than the G5’s—which required a violent snap to separate the battery from its chin—but still presents challenges. In the new scheme, you press a button on the side of the phone, then pry the aluminum back panel off the chassis. It’s difficult to tell when the two pieces disengage, and I frequently had to press the button multiple times before the phone would separate. Press this button, and the V20’s back panel will disengage. From there you can fiddle off the panel to eventually remove the phone’s battery. With a 5.7-inch display, the V20 delivers the biggest screen size among contending flagship phones now that the Note7 is dead. 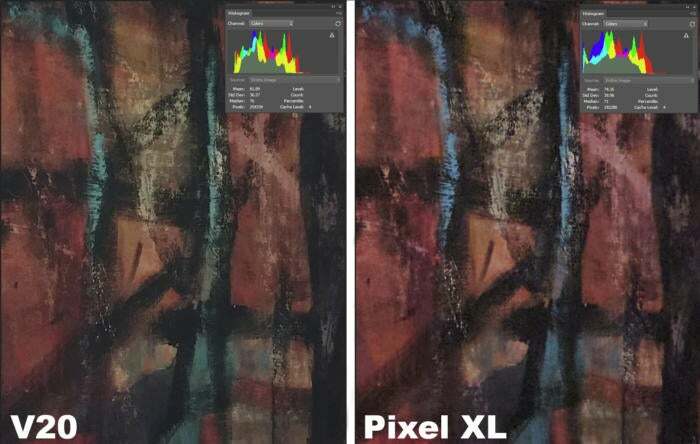 Pixel density is a whopping 513 pixels per inch care of a 2560x1440 resolution, and the display is bright with a white balance that errs on the cool side. The phone runs Android 7.0, so it doesn’t yet have the Night Mode feature built into Android 7.1. Nonetheless, LG provides a Comfort View feature that warms up the display’s color temperature at the push of a button. Comfort View even has three intensity settings so you can customize the look for eye-soothing reading before going to bed. All in all, the display is great if unremarkable. This is 2016, and pretty much all flagship phone displays are great. Some phones (like the V20 and iPhone) use IPS LCD technology, while others (like the Pixel and all of Samsung’s phones) use AMOLED. 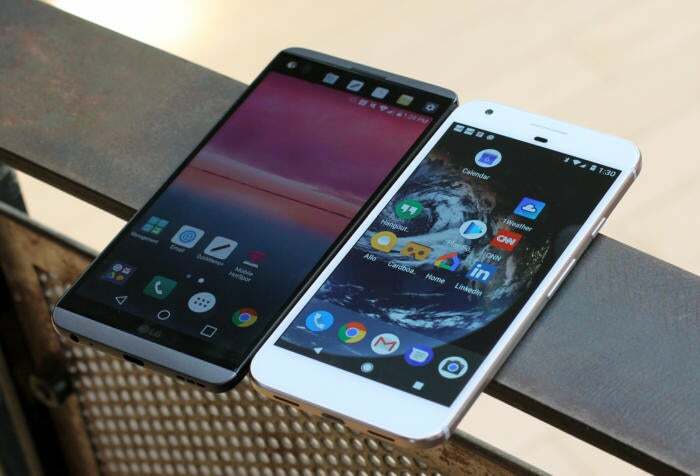 The user-experience differences between the two technologies are negligible for most people, which may explain why LG distinguished the V20 with a 1040x160, always-on Second Screen right above the main display. Think of the Second Screen as a helpful little control panel that stays active and actionable whether your main display is on or off. For example, when the phone is dark and locked, you can still swipe around the 2.1-inch strip to see icons of your most recent notifications; the date and time; and controls for the music player if you’re currently listening to a song. I think the Second Screen’s quick-launch buttons for the flashlight and camera may be particularly useful for some, as these features can sometimes take a bit too long to access from a locked screen. The Second Screen above the main display may come in useful—if you can train yourself to use it. When your main display is on, the Second Screen adds a bit more functionality. You can set the display to show the content of recent notifications; details of upcoming calendar events; shortcuts to recent apps; and even shortcuts to call or text up to five different contacts. The text and icons are small (though larger than in LG’s V10 model), but the Second Screen is still a useful value add. It’s not a reason to buy the phone, but if you can remember to actually use the Second Screen, it comes in handy. Content creation—gah, where to begin? The V20 is packed with so many damn cameras, microphones, and fancy-sounding multimedia algorithms, I could spend 5,000 words just describing it all. But you don’t want that, and I don’t want that, so here are the top-line details. Yep, that’s a camera bump. LG clearly had to make some design compromises in order to add dual flash, two rear cameras, and a laser autofocus sensor. On the back of the phone, you’ll find two cameras. A 16-megapixel standard-angle lens has a 75-degree field-of-view and f/1.8 aperture. 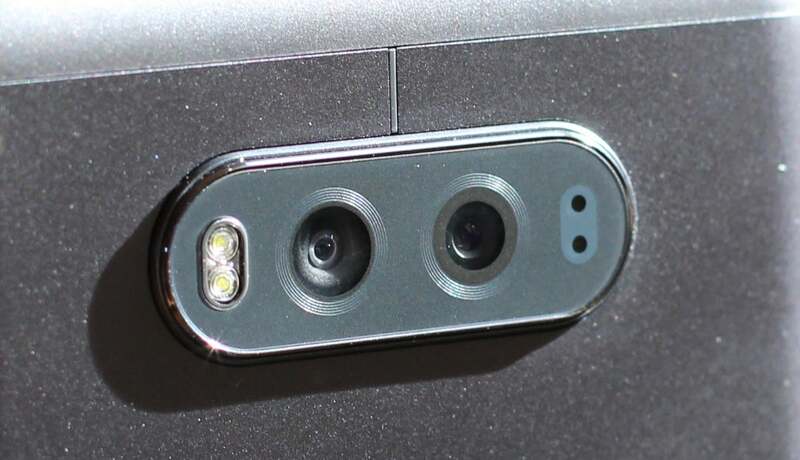 There’s also an 8-megapixel, f/2.4 aperture wide-angle lens that increases field-of-view to 135 degrees. A 5-megapixel, f/1.9 selfie cam rounds out the camera offerings. Unlike Google or Apple, LG provides a full suite of DSLR-style manual controls for still images (though for comparative testing purposes, we shot all photos in LG’s auto mode.) 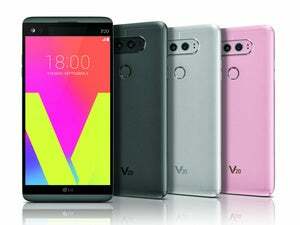 On the video side, the V20 taps into Steady Record 2.0, an electronic image stabilization technology that enlists the phone’s gyroscope to smooth out videos taken with a shaky hand. It wouldn’t be an LG phone without a full suite of DSLR-style manual controls in the camera app. LG also put a lot of thought into the V20’s sound-recording capabilities. The phone boasts three high AOP microphones for high-fidelity audio pick-up, and both the video camera interface and an HD Recorder App offer deep controls to fine-tune audio capture. 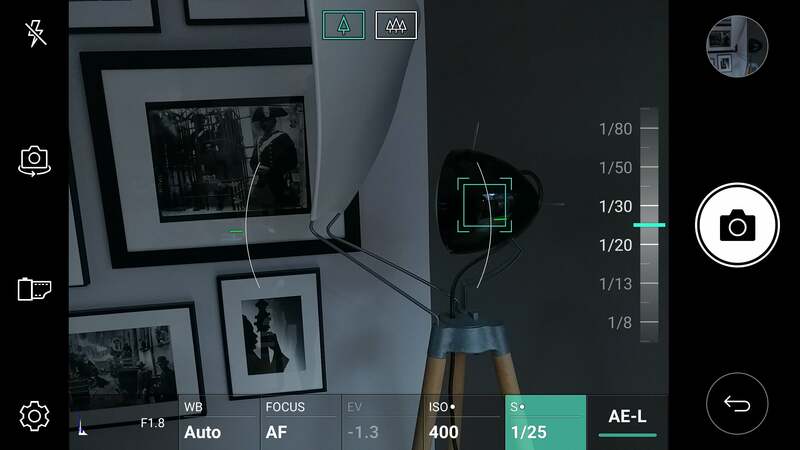 In the video camera alone, you can adjust the directivity of the mics fore and aft; toggle on a Wind Noise Filter; and move sliders for Gain, a Low Cut Filter (to reduce background noise), and LMT (a filter that determines the loudest volumes the mics will record). It all sounds wonderful, but real-world testing doesn’t bear out all of LG’s content-creation promises. Pitting the V20 against the Pixel XL, iPhone 7 Plus, and Samsung Galaxy 7, we found that LG’s phone does indeed offer the best sound recording, but falls short of the Pixel XL in still image capture, and really falls down in video image stabilization. Check out the video below for the full test results, or just keep reading for a bit more detail. First up: still images in daylight. 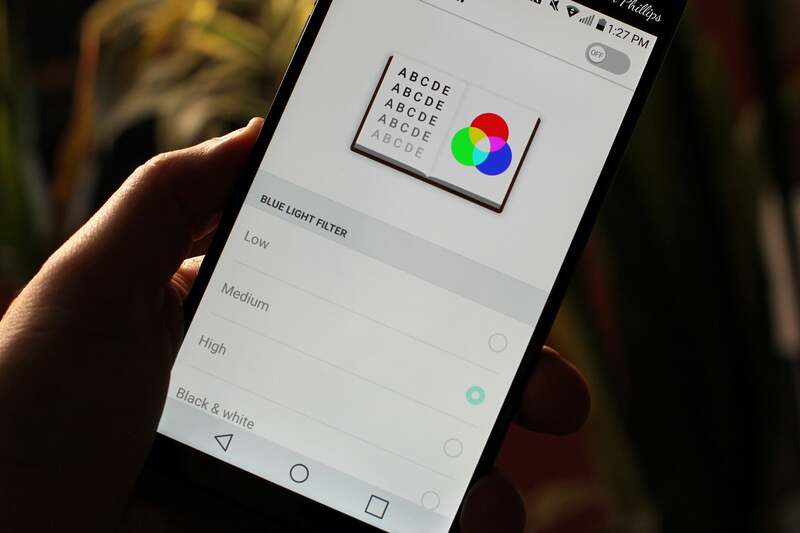 Using the V20’s standard-angle lens in auto mode, we found that the phone delivered solid color reproduction and dynamic range, but really fell apart when we looked at definition and image clarity. 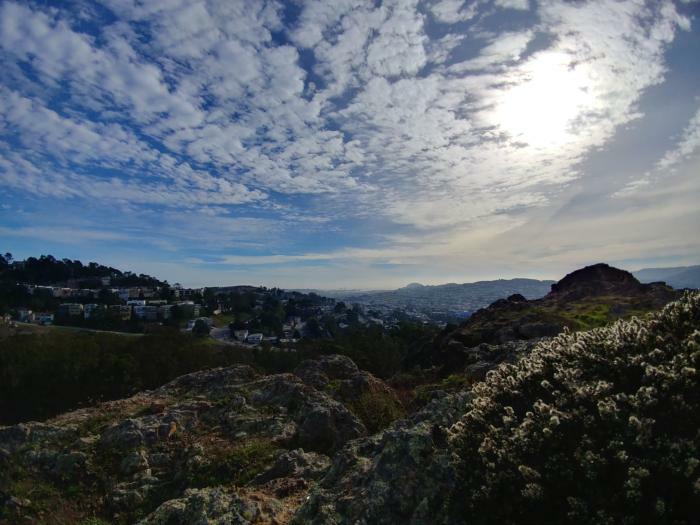 Just look at how the V20 compares to the Pixel XL in this shot of the cross on the top of Mount Davidson. 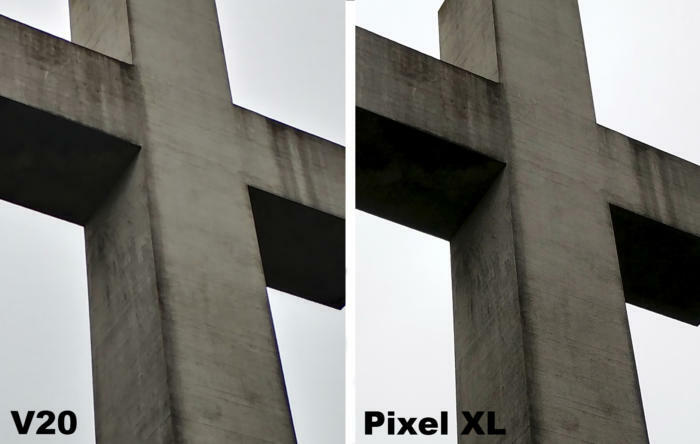 The striations on the cross are sharp and defined in the Pixel’s photo, but appear blurry and impressionistic in the V20’s image. Click to enlarge: These are crops of much larger images. The cross is 103 feet tall, and I was shooting about 40 feet from its base. Notice how much more detail we see in the striations on the cross in the Pixel’s image. The following shots of succulents really drive home how much clarity the V20 gives up to the Pixel XL when shooting under brighter morning sunlight. 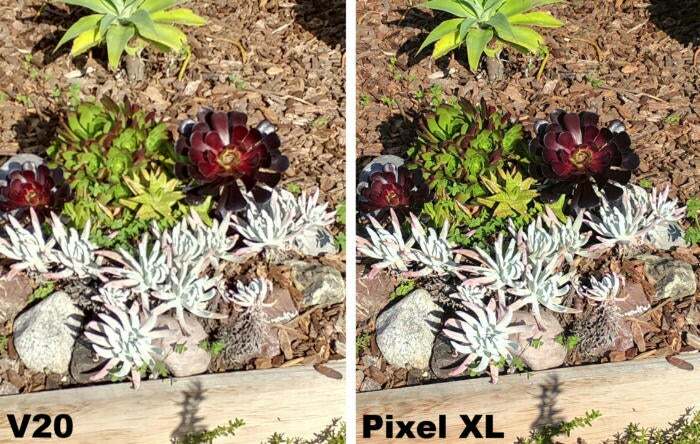 We’re getting sharper detail and more vivid colors from Google’s camera. Click to enlarge: These are crops of much larger images shot about six feet away. I was shocked by the V20’s lack of sharpness. Finally, I shot an abstract painting under extremely low light conditions in my living room. Both phones were locked down on a tripod to eliminate variables under very challenging circumstances. By and large, the V20 delivered strong clarity and definition, and retained more information in the darkest areas of the image, but was off on color accuracy. The blues in the Pixel XL photo, for example, are much more true to life. 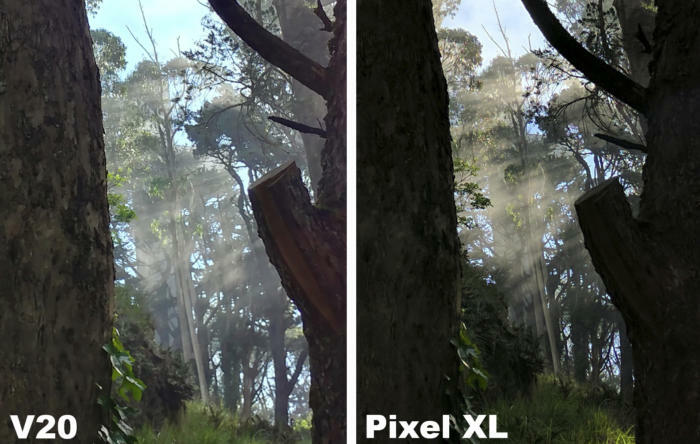 If we look at all my photos, and add in the tests conducted by our video team, we find that the V20’s camera isn’t bad—it’s just that the Pixel XL’s images are better. 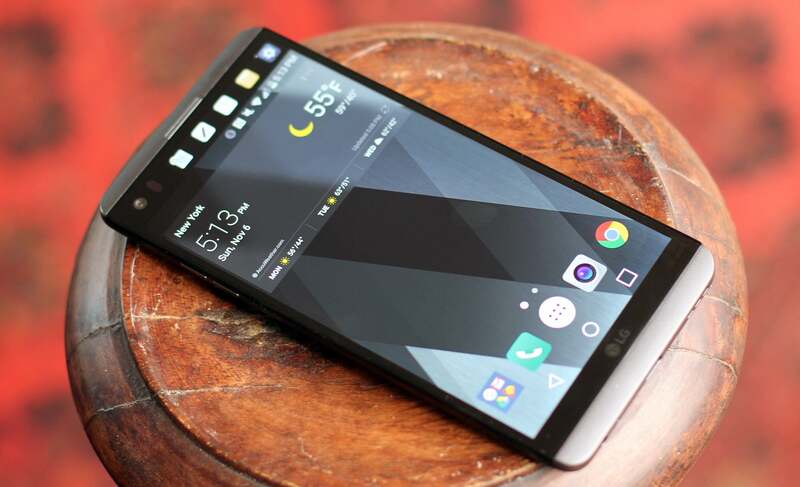 And that’s relevant because LG has positioned the V20 as the go-to phone for content creators. All that said, the V20 does have a second wide-angle lens, which none of the other manufacturers offer. It’s arguably useful for taking sweeping environmental panorama shots, but images will suffer barrel distortion on the edges, and when you zoom into fine detail, you’ll find a disturbing lack of clarity. That edge distortion looks particularly bad when shooting group photos up close. I’d rather ask people to squeeze in tightly instead of using this lower-spec’d, 8-megapixel sensor. Click to enlarge: The V20’s wide-angle lens has a 135-degree field-of-view and captures dramatic colors, but I don’t like the barrel distortion. 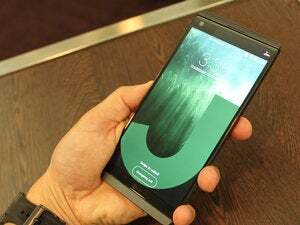 During my hands-on with the V20, LG talked up Steady Record 2.0, an electronic image stabilization technology that uses the phone’s gyro sensor to make shaky videos appear smooth and fluid. Steady Record 2.0 also uses digital “image stream analysis,” in which “objects are adjusted to appear in the same position between each frame by analyzing 15-20 frames.” LG put on an impressive presentation, but multiple weeks of testing showed me that LG’s video image stabilization can’t touch Google’s or Apple’s. Check out the video embedded at the top of the previous section. Our video stabilization testing begins at the 11:40 mark. The V20 demonstrated some of the worst camera shake of all four cameras tested, pretty much debunking LG’s claims. What’s more, I found the same poor performance during my own anecdotal testing: The V20’s video was prone to a fair amount of stutter and jelly effects.